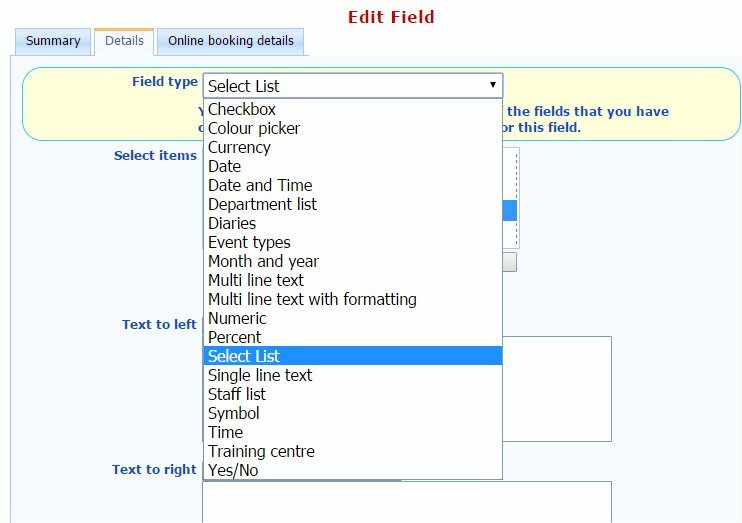 Sorting the date, number of spaces, discounts and the price. 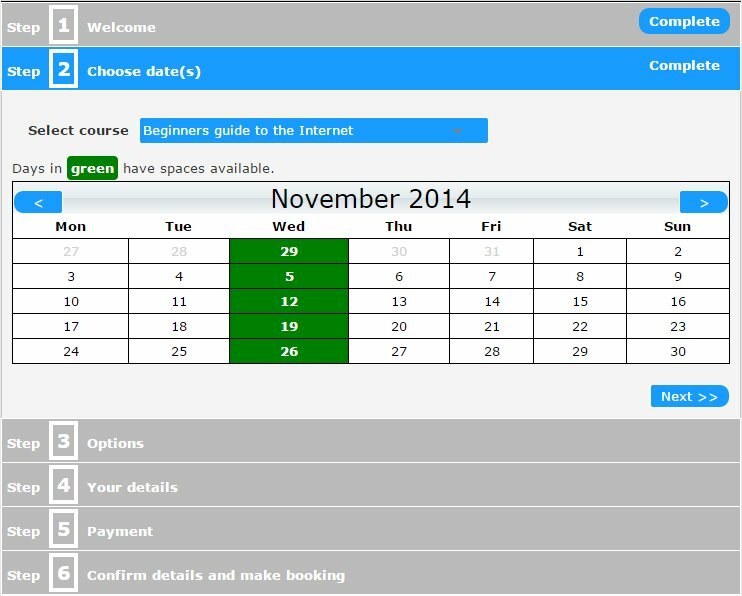 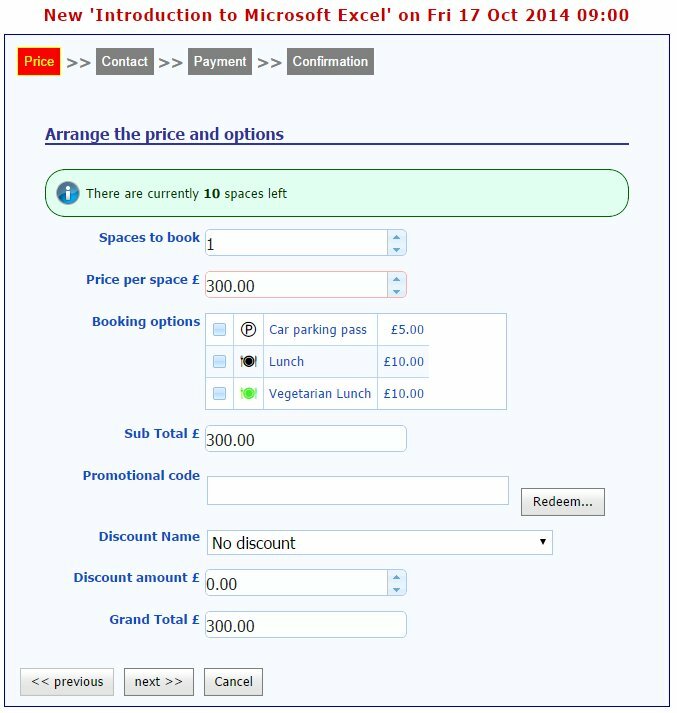 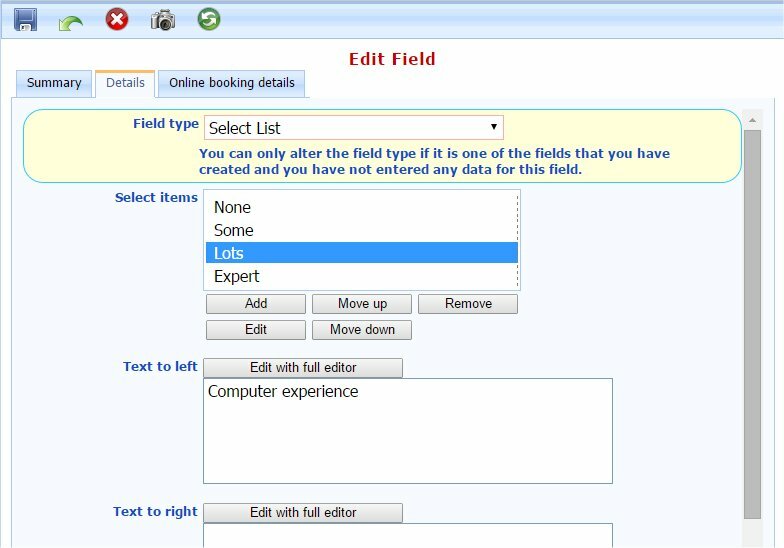 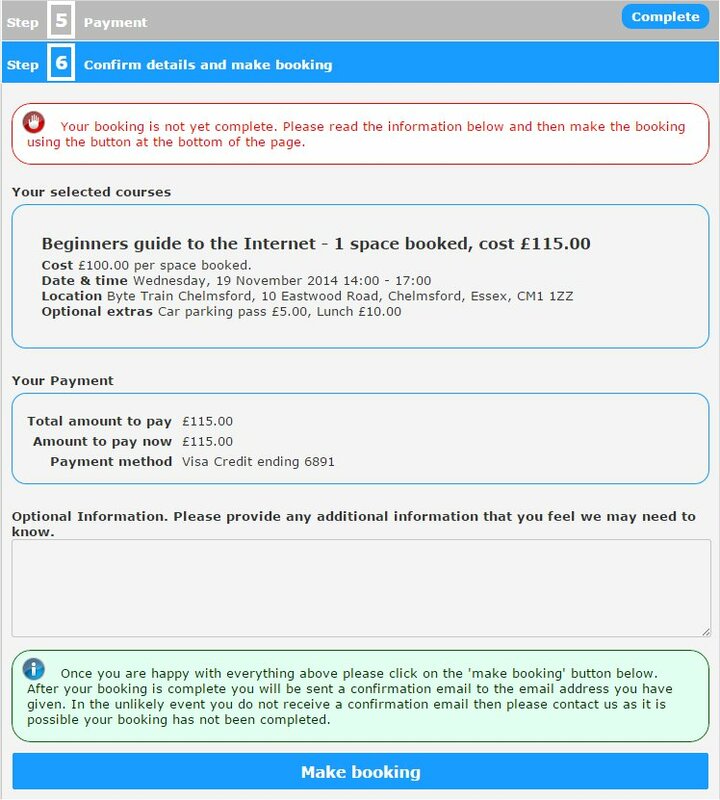 Notice how you can add optional extras to the booking which can have additional costs. 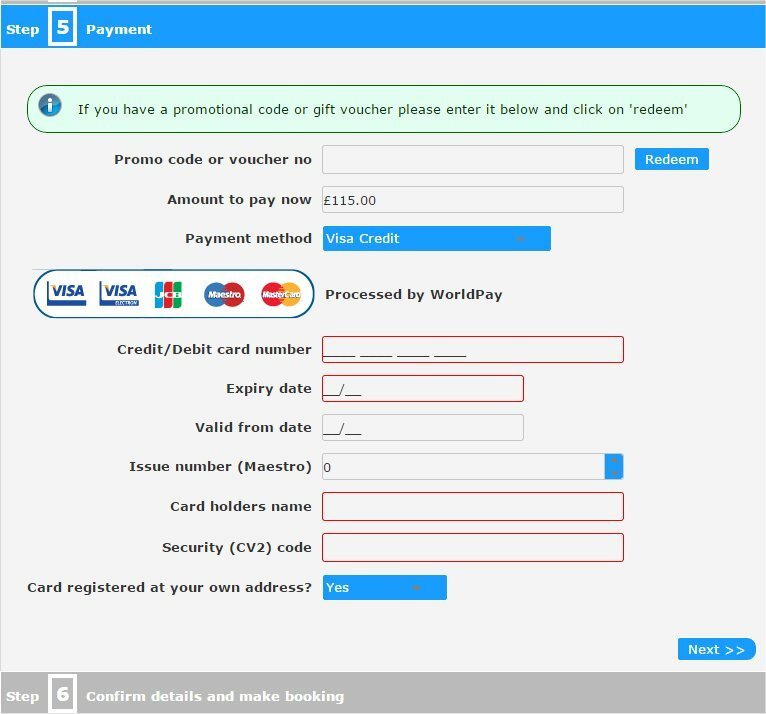 Enter payment details. 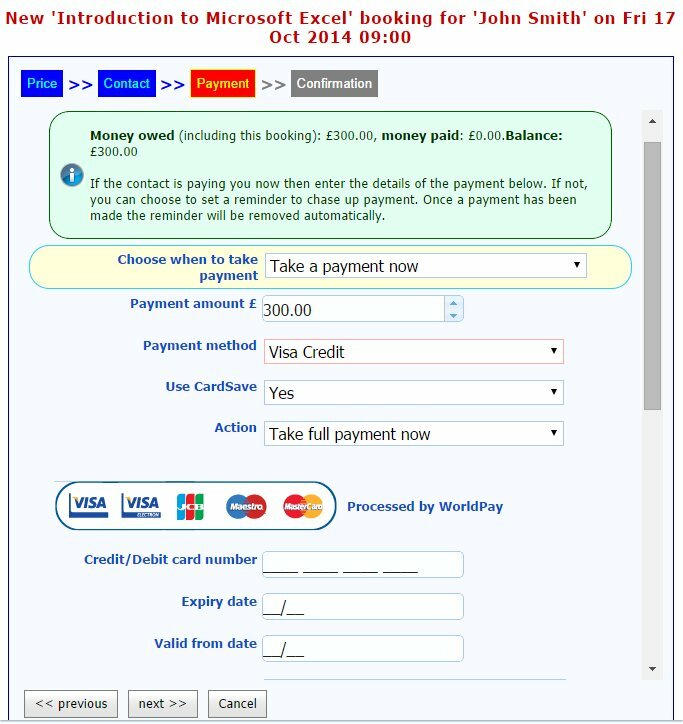 Notice the integrated payment processor, all you have to do is enter the card details and the payment is taken immediately. 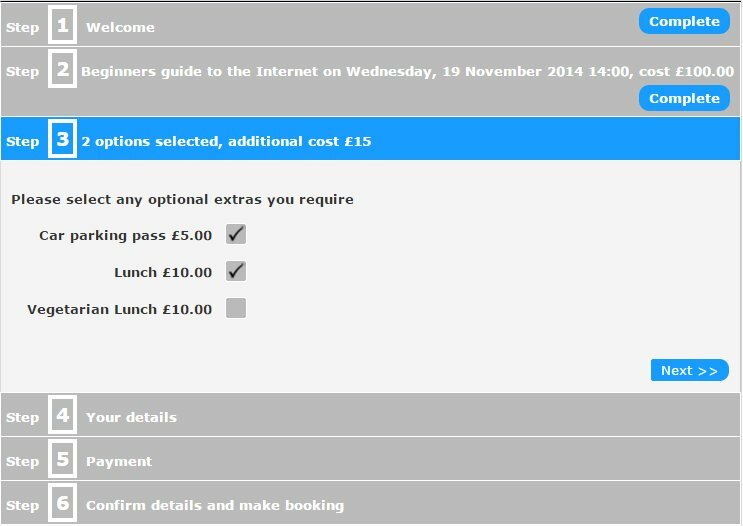 A final confirmation of the details and a chance to enter any particular booking inforamtion. 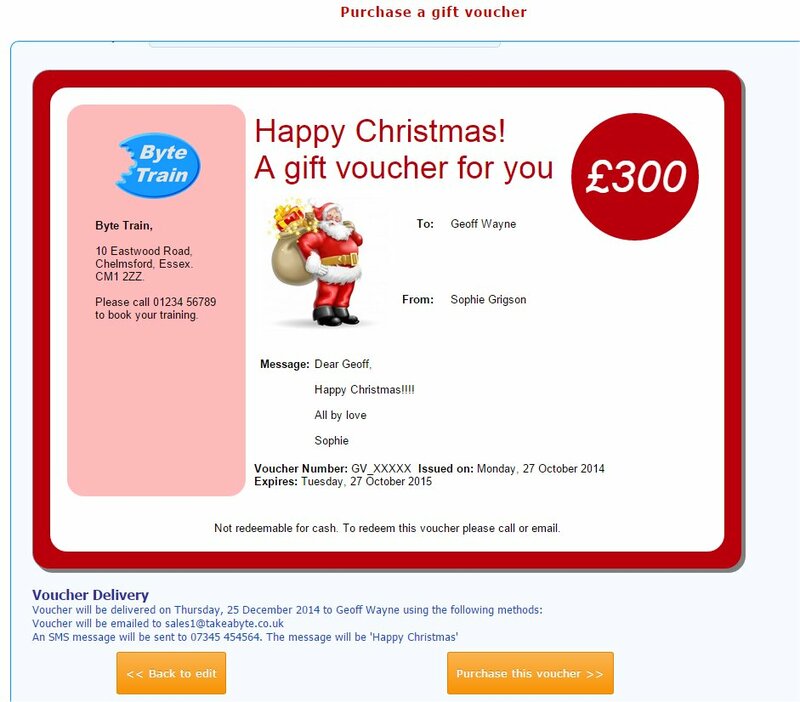 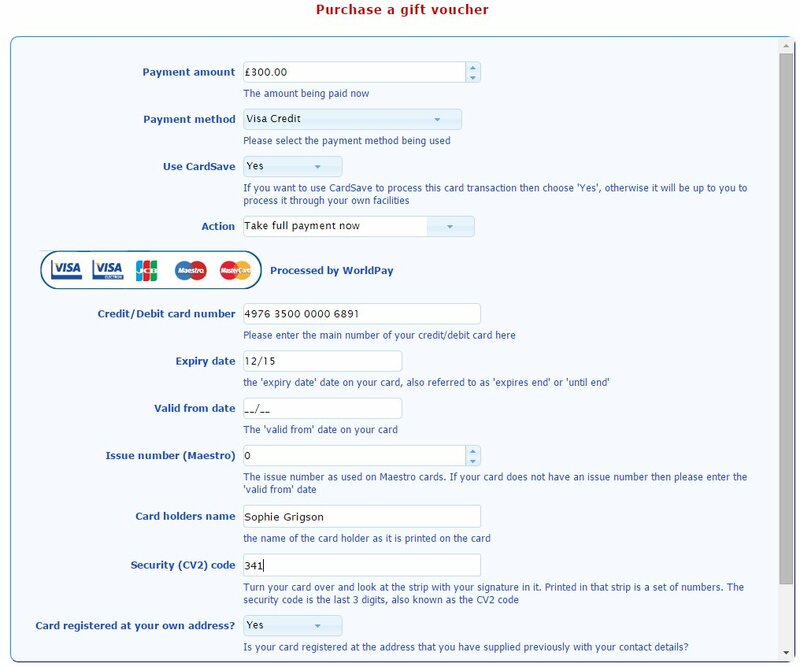 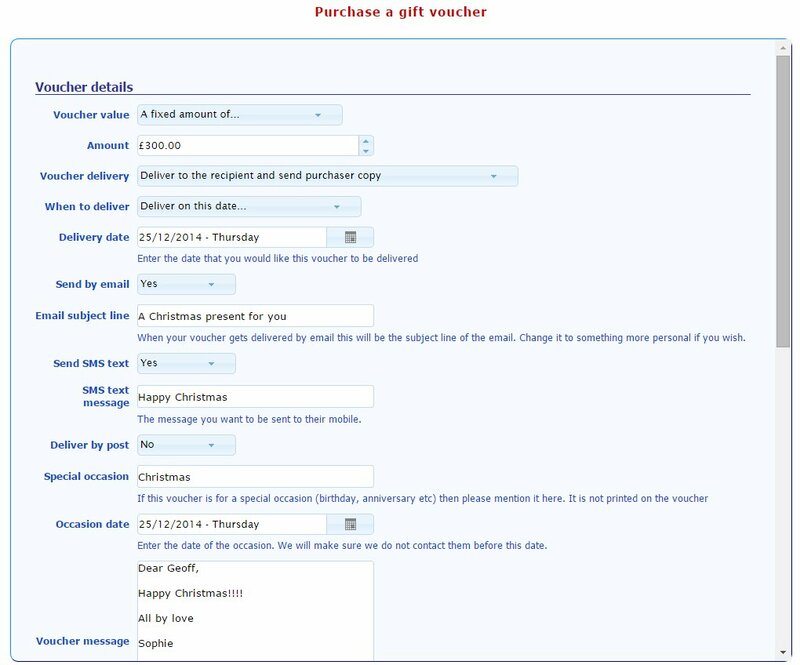 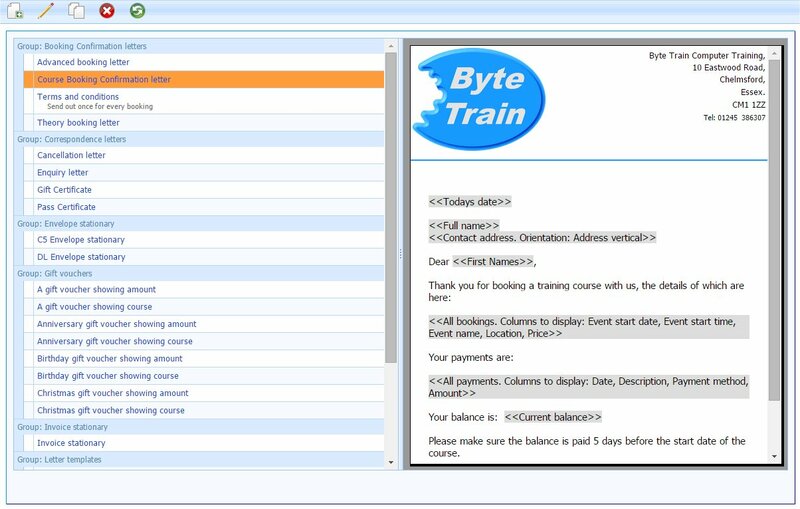 You can create and sell your own gift vouchers. 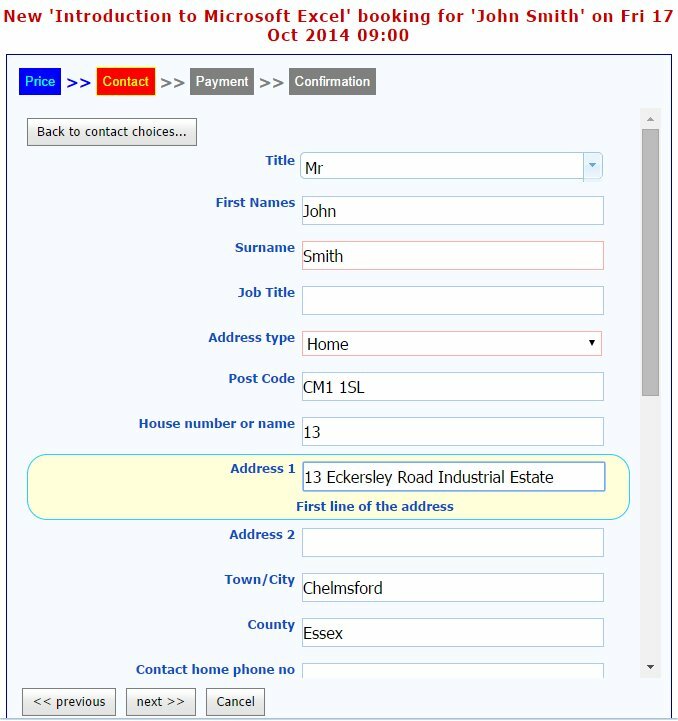 They can be sold in person, over the phone or through your own website. 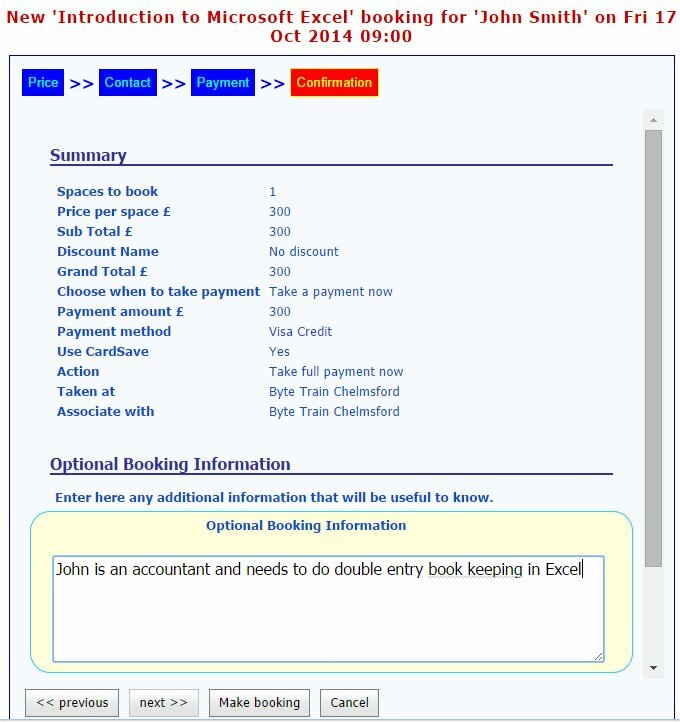 Every contact and company will have its own set of bookings costs, payments that have been made and hence a credit or debit balance. 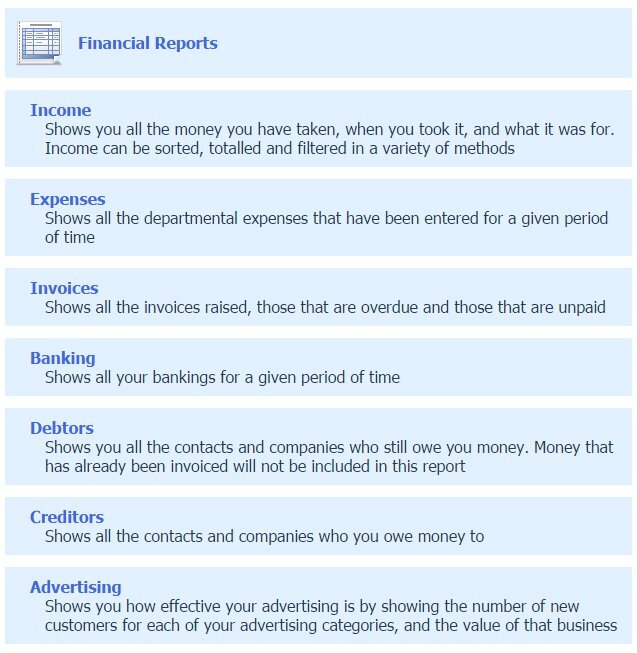 Keep track of expenses as well as income. 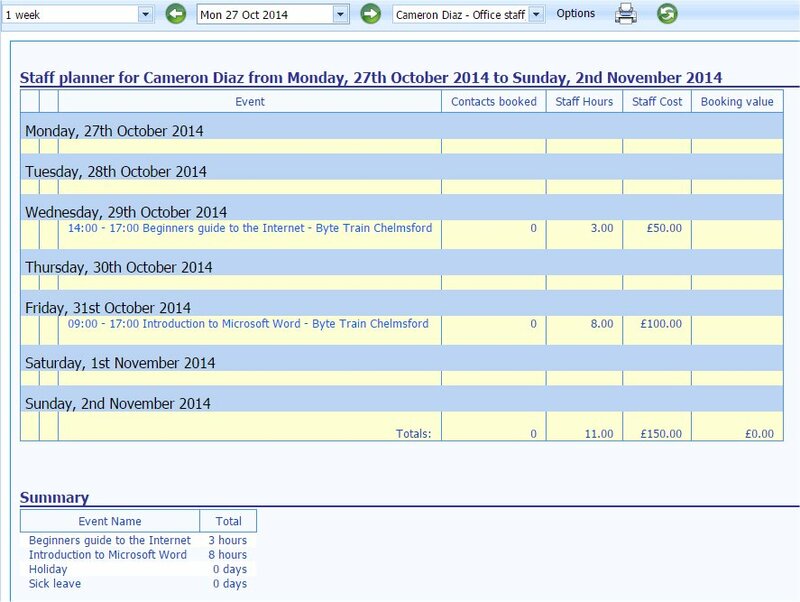 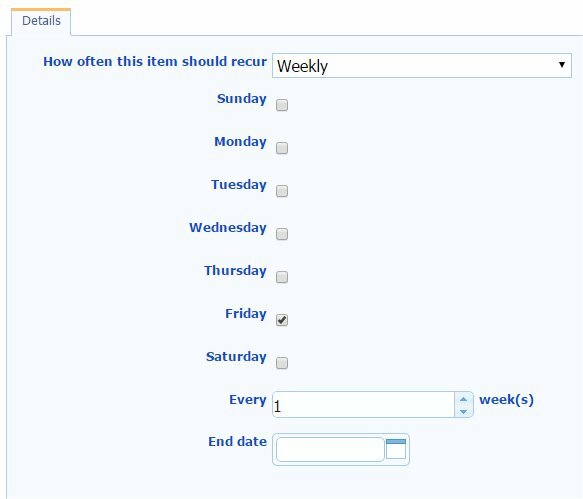 You can record all your company expenses and then report on them giving weekly, monthly or yearly totals. 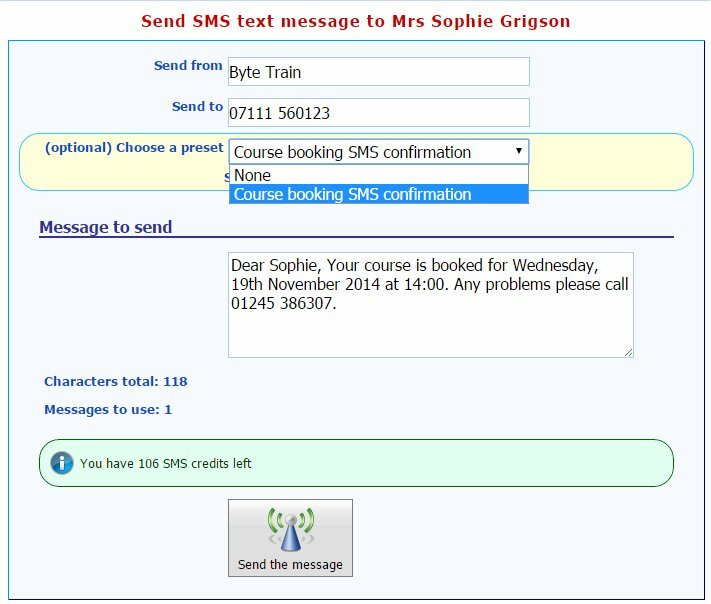 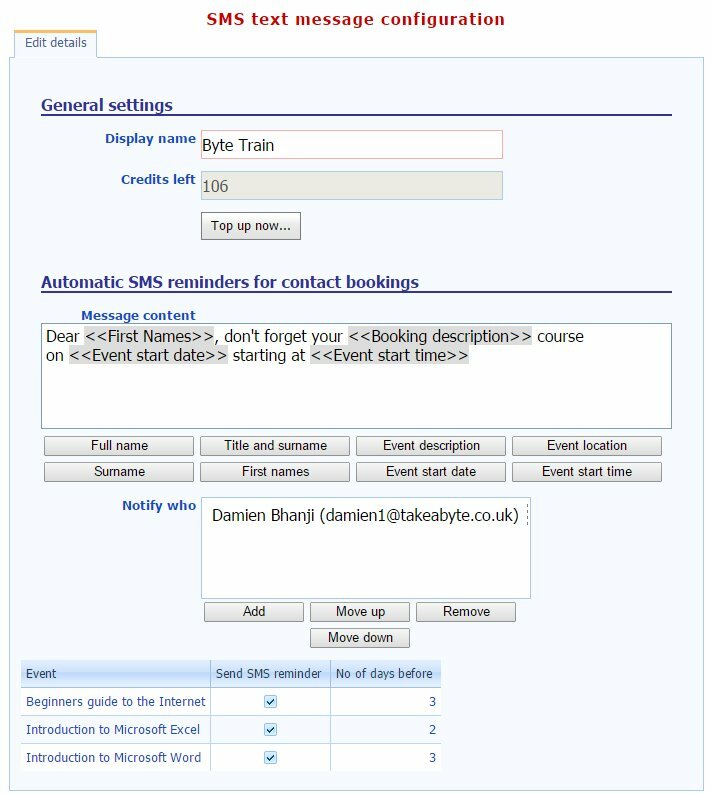 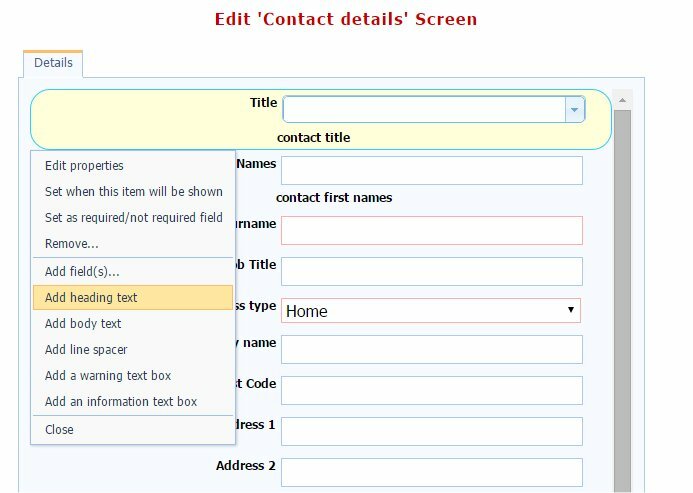 Set up which courses should have SMS confirmations sent automatically and how many days before the course start they get sent. 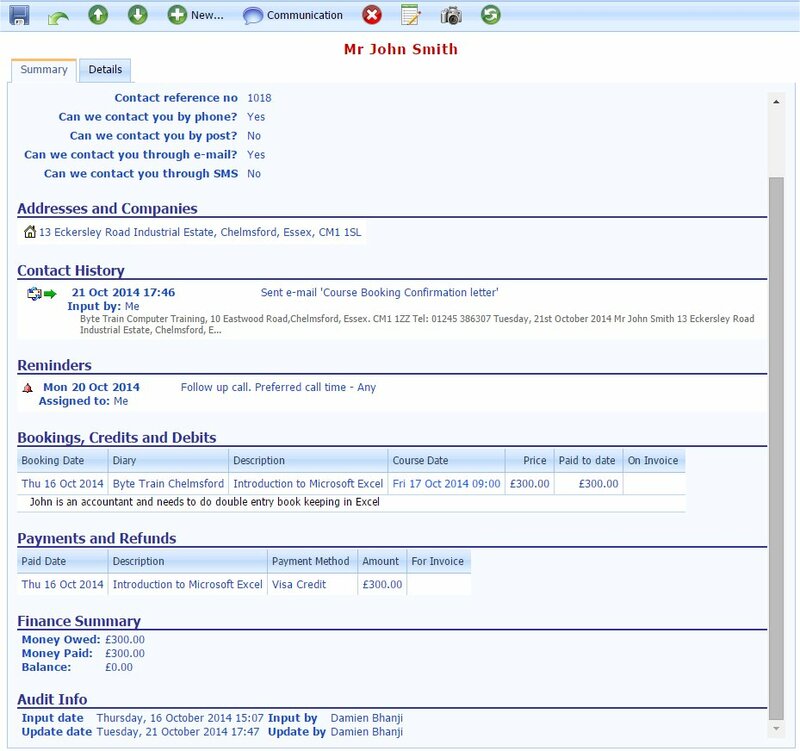 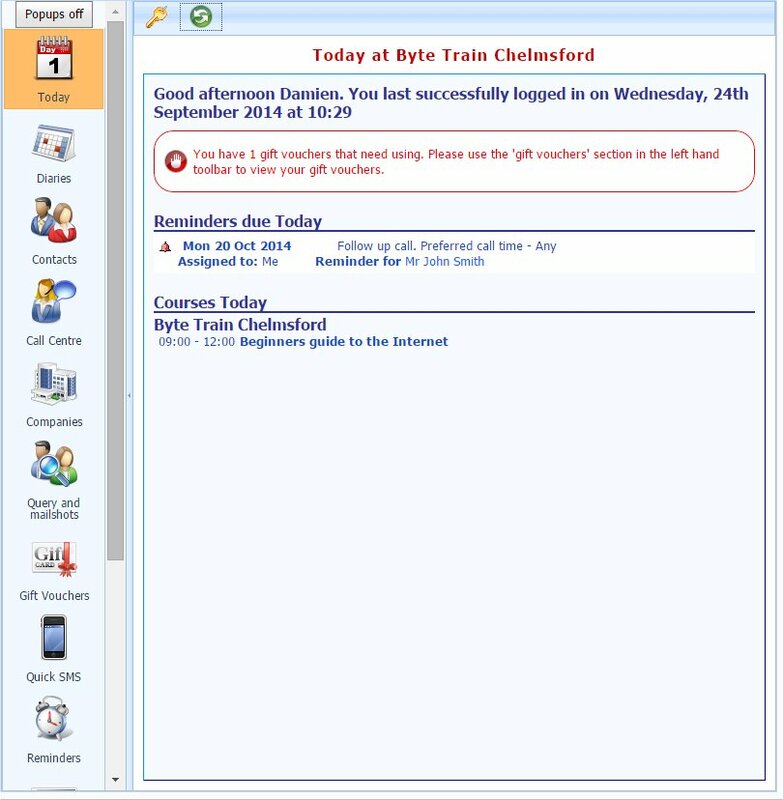 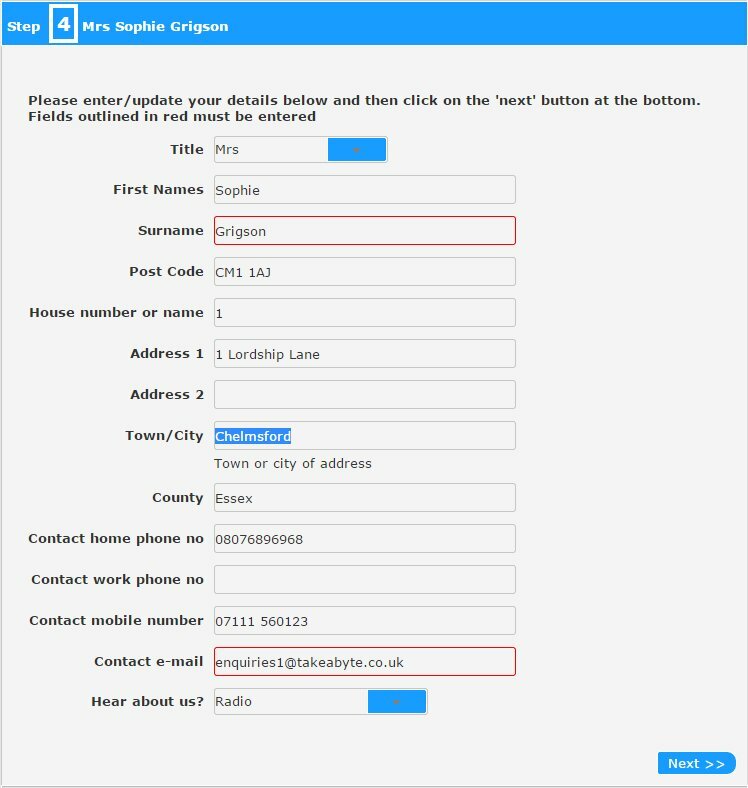 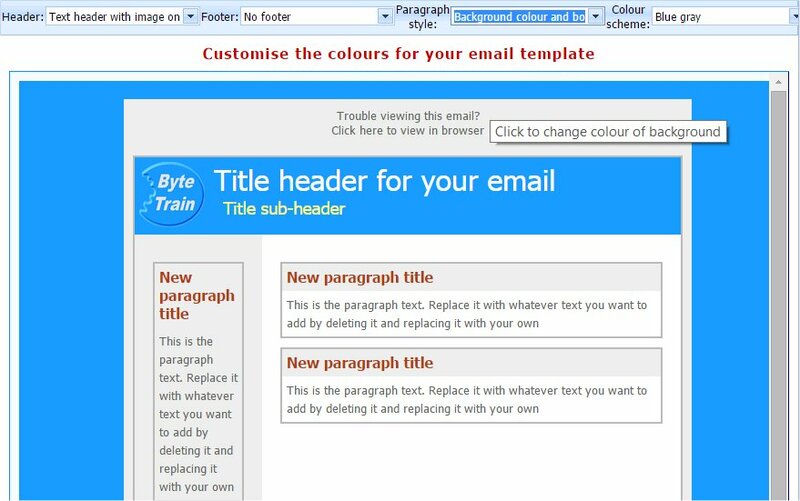 The content on the message can be customised. 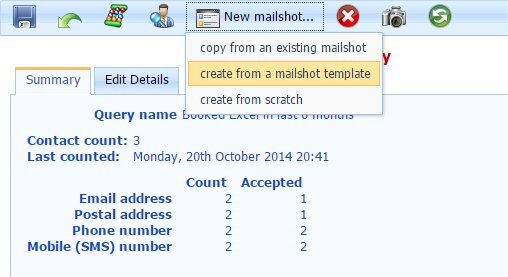 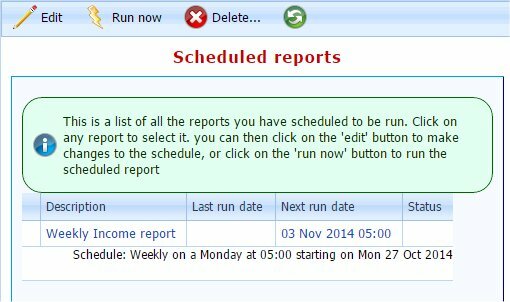 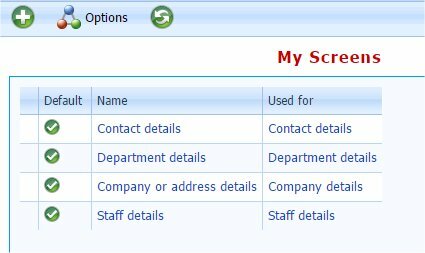 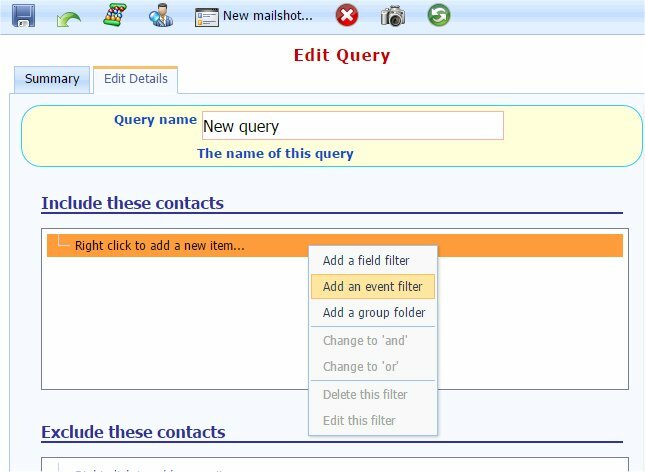 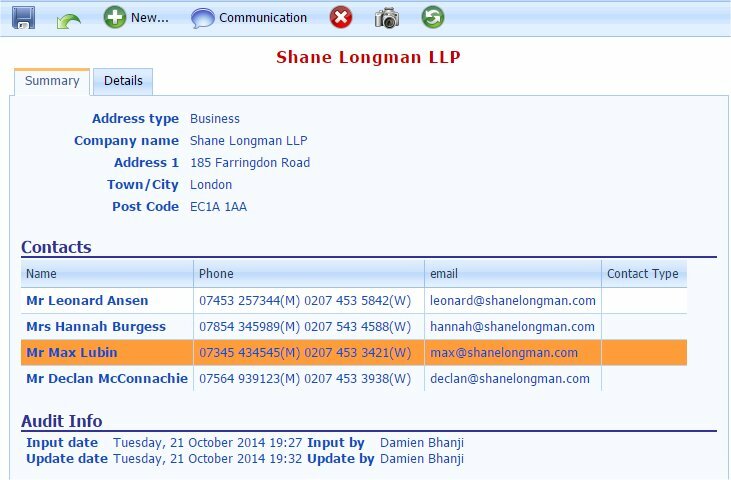 Have reports generated and sent to different people at any time of day. 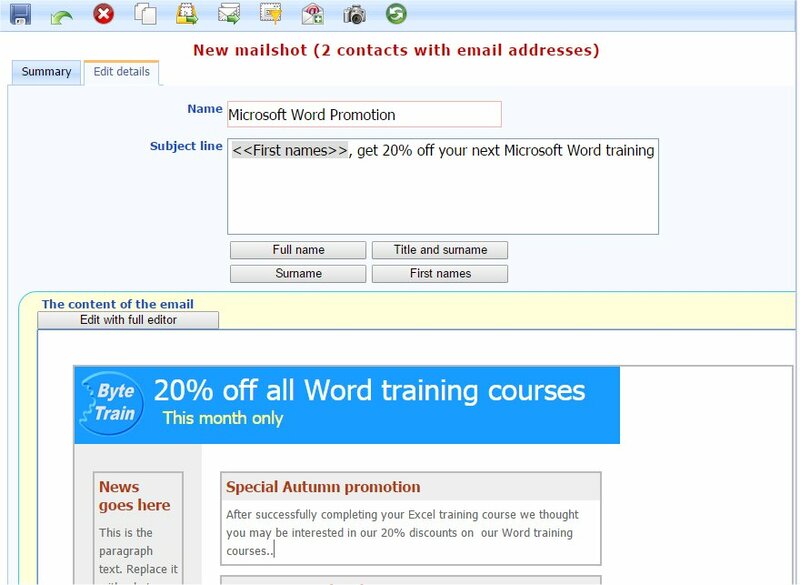 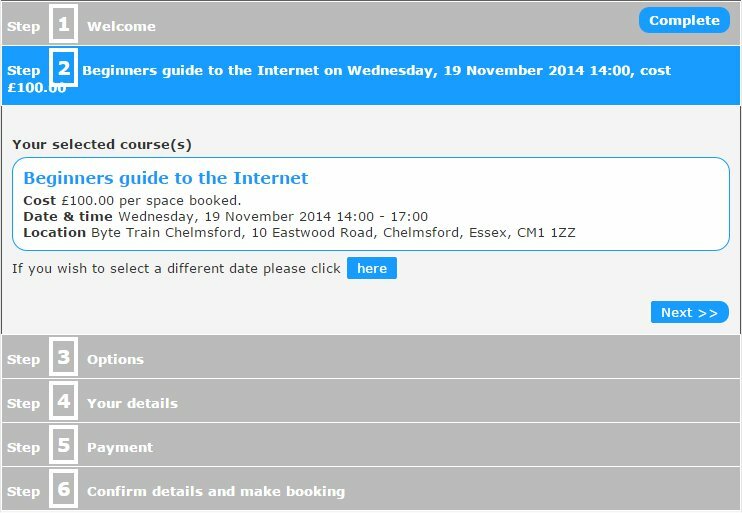 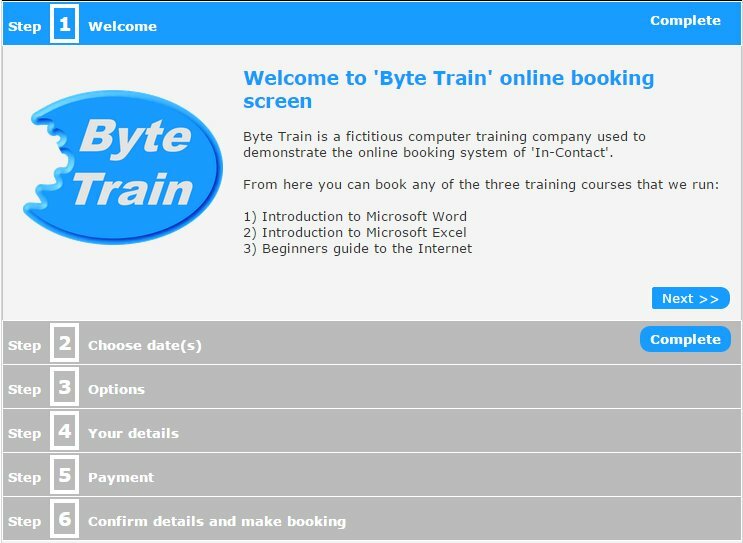 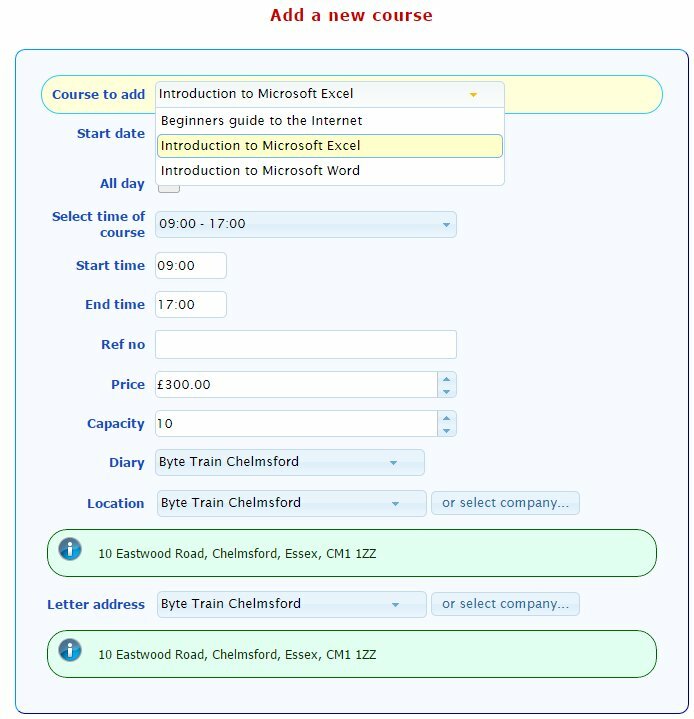 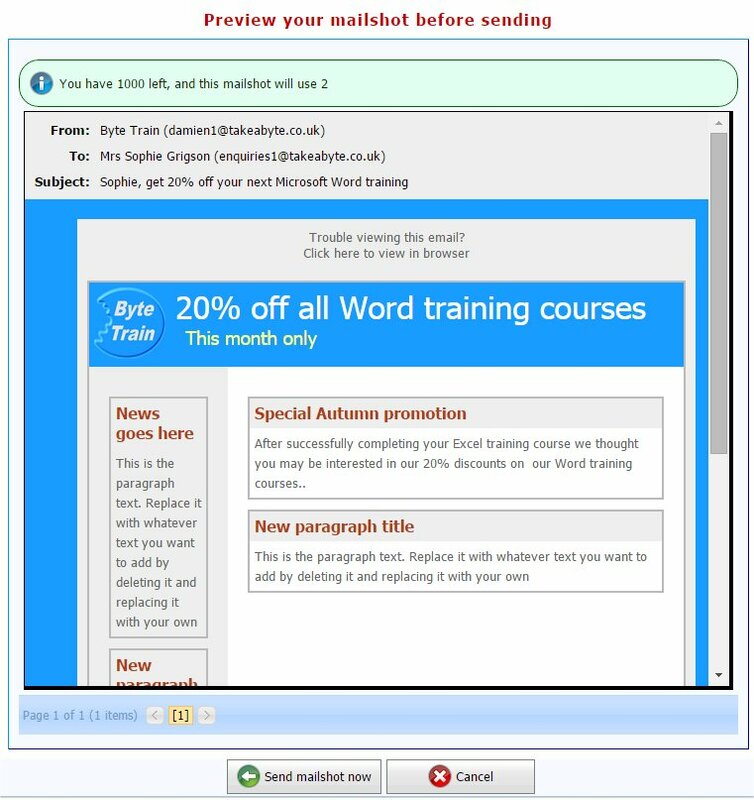 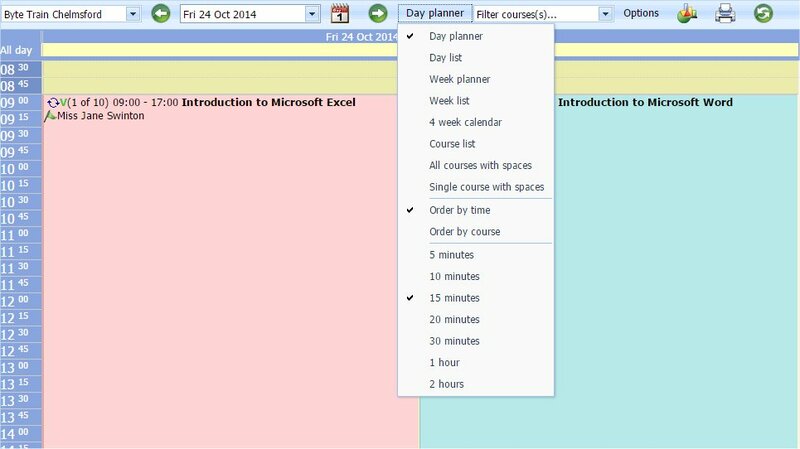 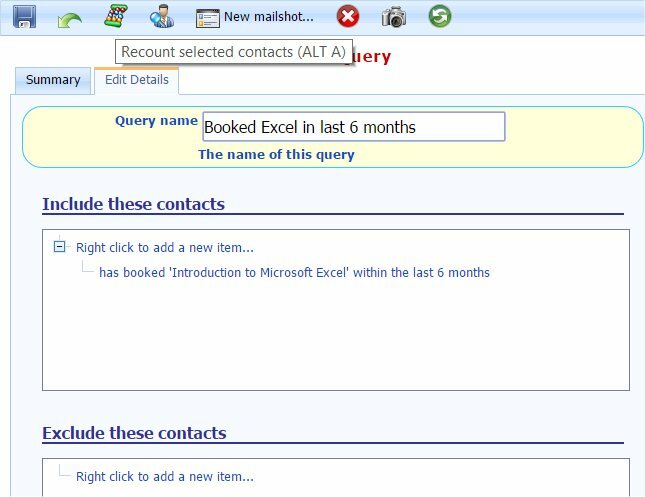 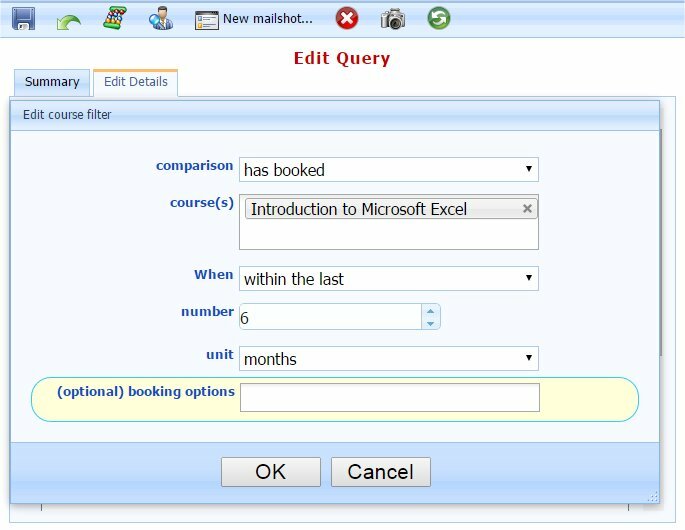 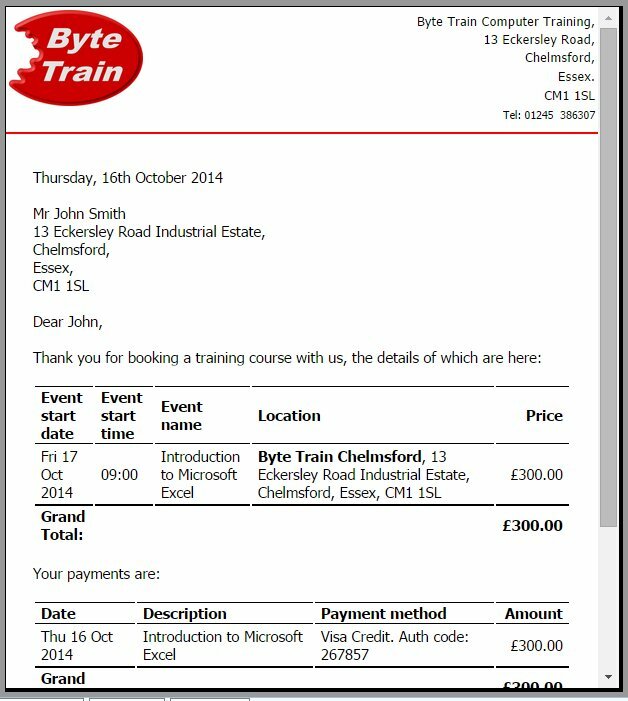 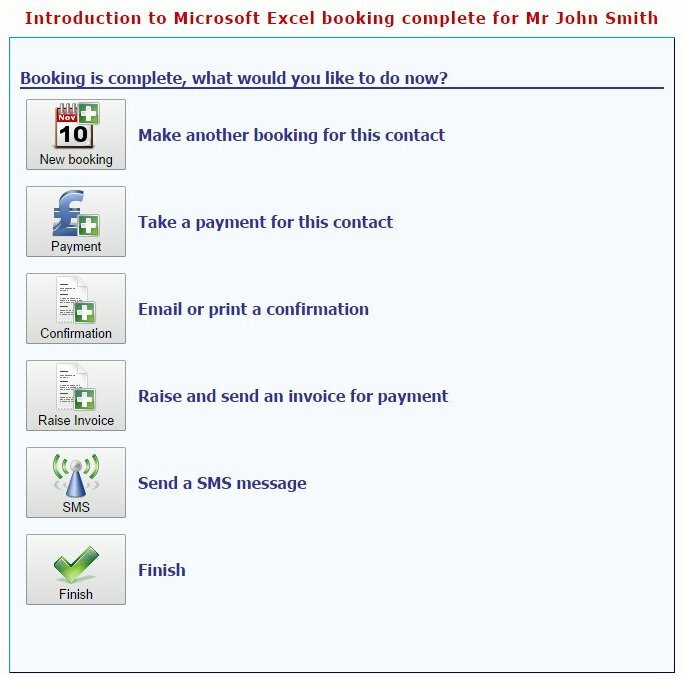 These screen shots show how to find all the customers who have already taken the Excel training course and offer them a 20% discount on their next Word training course. 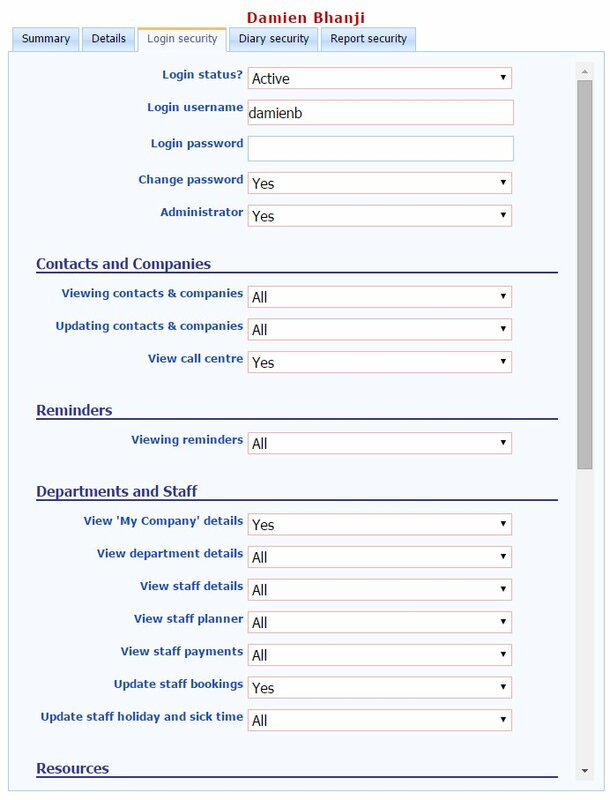 Each login can have the security set to determine what can be viewed and updated. 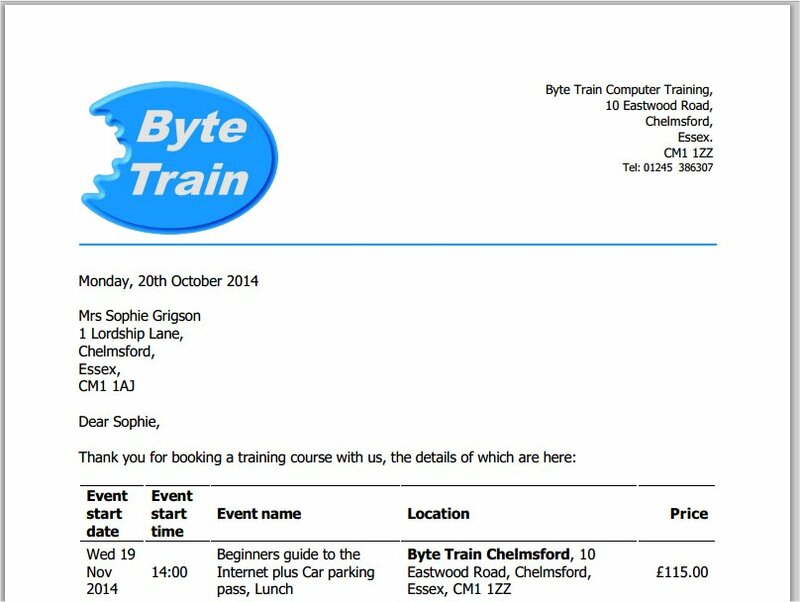 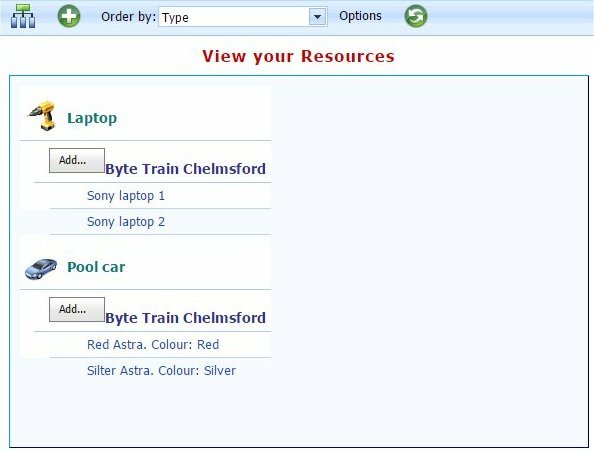 Here the laptops have been booked onto the courses as they will be used in the course.